From handling versioning efficiently, to enhancing security and portability, technologies such as Docker and Kubernetes have greatly benefitted application development and cloud deployments. 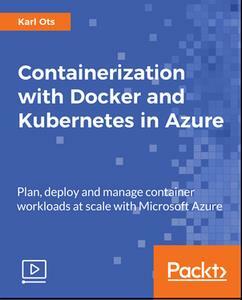 Microsoft offers excellent containerization services with its Azure Container Services, and also supports both Docker and Kubernetes. The course focuses on application containerization using a combination of the dynamic duo, Docker and Kubernetes. It will show you how to get hands-on and take advantage of these two tools, alongside Azure Container Services, and improve the configuration and deployment of your applications on Azure Cloud. By the end of this course, you'll learn all about Docker and Kubernetes and will be able to configure, manage, and deploy applications on Azure Cloud.